The Traffic Officer was performing a pre fed distance check over 0.2 of a mile and the officer utilised "VASCAR" markers on the carriageway. 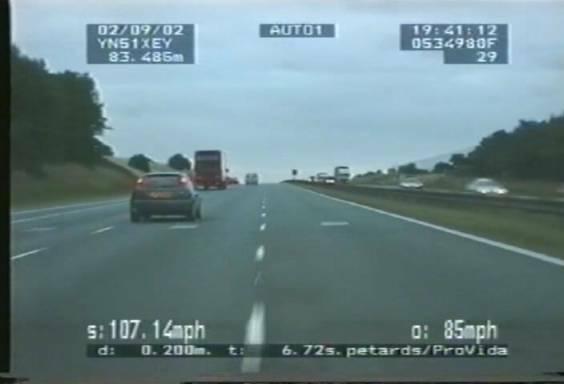 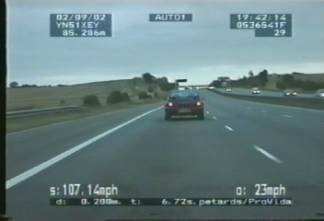 The traffic video has recorded the speed of another vehicle 92.42 mph and the officer decided not to pursue this motorist. 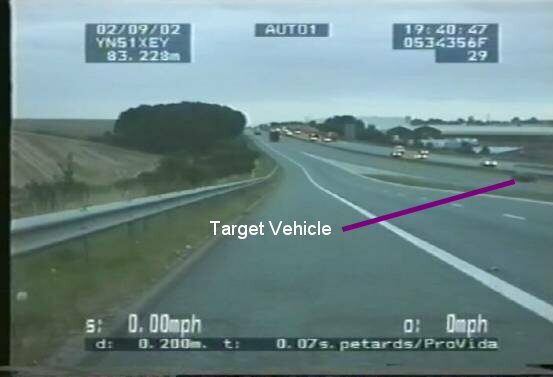 As the officer was parked some distance from the carriageway, it is not possible to positively identify the 'target vehicle' from the traffic video. 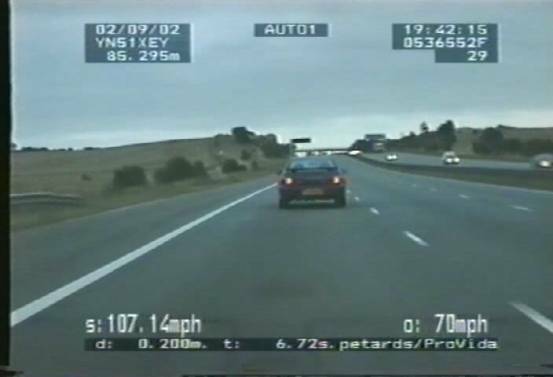 The ProVida system may have been malfunctioning because the speed of the patrol car is recorded as varying from 74 mph - 21 mph - 23 mph and back to 70 mph during a period of one second; which is impossible. 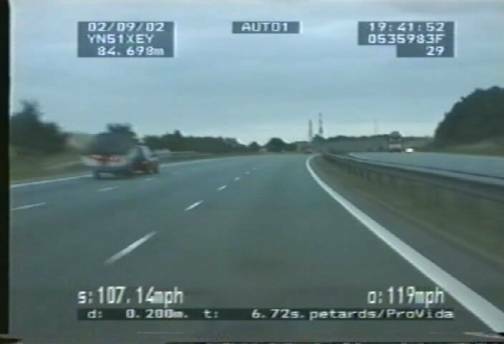 We have performed a time and distance measurement from the time the officer finished his pre fed distance check to the time that he caught up with the 'target vehicle'. For ProVida system information please follow this hyperlink. Copyright © 2001-2008 PePiTec Ltd.